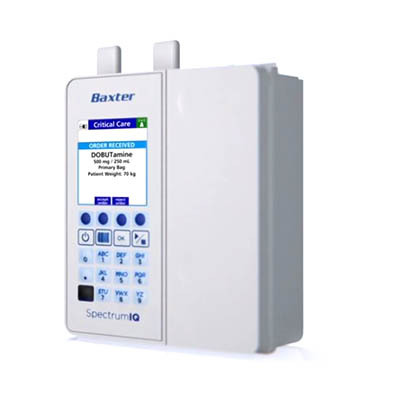 Spectrum IQ Infusion System revolutionizes the traditional idea of an integrated smart pump. 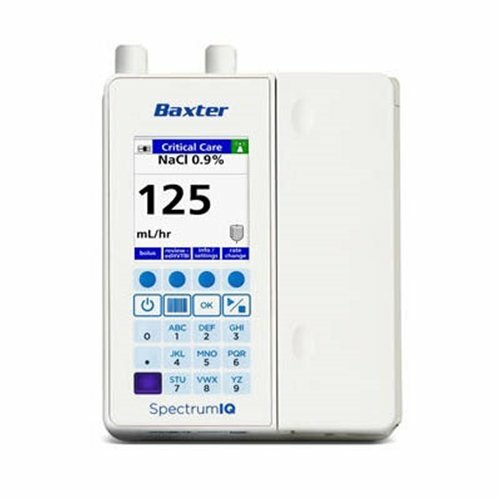 Building on the Spectrum platform’s industry-leading drug library compliance and ease of use, Spectrum IQ infusion system now fully integrates with your EMR, adding another layer of safety to your infusions and providing immediate and measurable results to health systems and the patients they serve. Without IV pole clamp – 45.6 oz.± 1.0 oz. With standard IV pole clamp – 51.6 oz. ± 1.0 oz. 20 to 90% relative humidity non-condensing. 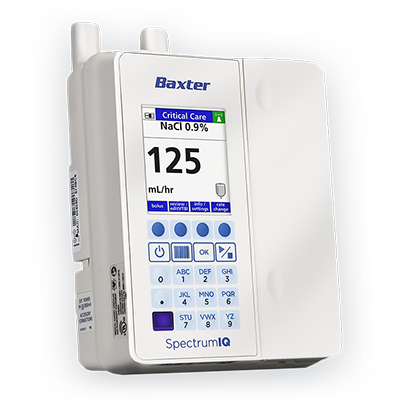 Questions about our Infusion Pumps? 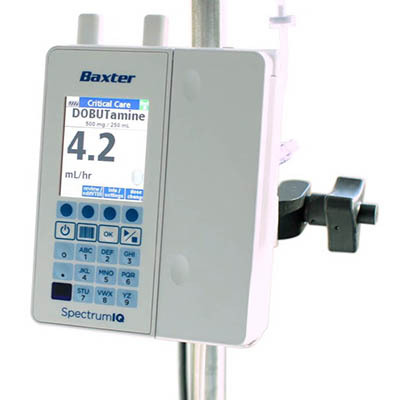 Soma Technology, Inc offers a wide range of Infusion Pumps. If you have any questions about any of our Infusion Pumps or need a quick quote, call 1-800-GET-SOMA and one of our knowledgeable sales representatives will help you.